Bring home your favourite Nickelodeon characters! 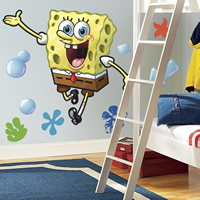 RoomMates' selection of removable, repositionable, and reusable Nickelodeon wall stickers will make decorating a breeze for everyone. 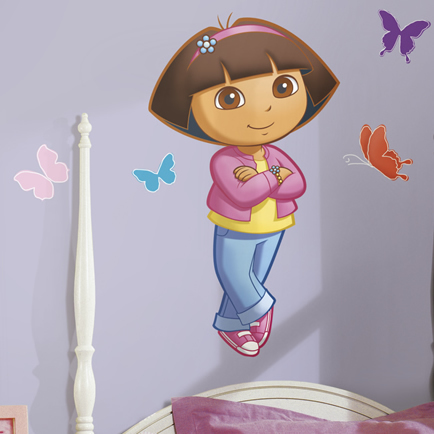 These wall stickers are an easy way to decorate and bring fun to any little one's bedroom or play area. Choose from a wide array of Nickelodeon characters, from Dora the Explorer to Teenage Mutant Ninja Turtles to Spongebob Squarepants. 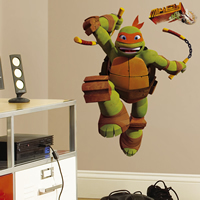 Our reusable wall stickers will help you bring your child's favourite TV shows to their walls in no time flat. Place them on any smooth surface, then move them around whenever a change is needed.